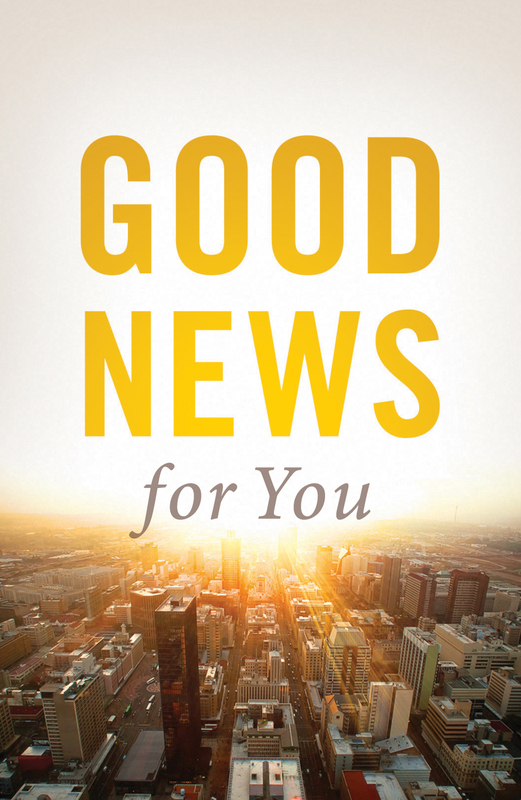 This relational “good news / bad news” approach uses an adaptation of the gospel presentation from the well-known gospel tract "Steps to Peace with God." We’ve all heard that before. So, although I’ve good news for you, I have to tell you about the bad news first. That’s because to find the solution, you’ve got to understand the problem. To find the cure, you have to understand the medical issues involved. To get where you want to go, you first need to know where you are. God did not create us like robots to automatically love and mechanically obey him. The first man and woman, Adam and Eve, chose to disobey God and sin against him. Each of us since has been born with that same sinful and disobedient nature. That results in spiritual separation from God. The Bible says that “All have sinned and fall short of the glory of God...the wages of sin is death” (Romans 3:23, 6:23). People often sense that something is wrong and try many ways to bridge the separation between themselves and God. But God reminds them, “There is a way that seems right to a man, but its end is the way to death” (Proverbs 14:12). And “Your iniquities [sins] have made a separation between you and your God” (Isaiah 59:2). Only the cross of Christ spans that chasm. Though Jesus is God’s sinless Son, he became a human in order to substitute himself in place of us and pay the penalty for our sins. The Bible says “there is one God, and there is one mediator between God and men, the man Christ Jesus” (1 Timothy 2:5). “Christ…suffered once for sins, the righteous for the unrighteous, that he might bring us to God” (1 Peter 3:18). It also says “God shows his love for us in that while we were still sinners, Christ died for us….the free gift of God is eternal life in Christ Jesus our Lord” (Romans 5:8, 6:23). Christ died on a cross and rose from the grave (1 Corinthians 15:3-4). By doing that he bridged the otherwise uncrossable chasm between God and us, providing us the only way to have forgiveness of sin, a personal relationship with God, and eternal life. But in order to receive God’s offer of forgiveness and have a right relationship with him, we must trust in Jesus Christ and receive him as our Substitute. Jesus said, “I am the way, and the truth, and the life. No one comes to the Father except through me” (John 14:6). And the Bible adds, “To all who did receive him, who believed in his name, he gave the right to become children of God” (John 1:12). If we place our trust in Jesus Christ, “We have peace with God through our Lord Jesus Christ” (Romans 5:1). “For God so loved the world, that he gave his only Son [to die for us], that whoever believes in him should not perish but have eternal life” (John 3:16). The Bible tells us plainly that “It is appointed for man to die once, and after that comes judgment” (Hebrews 9:27). Even though the bad news (eternal judgment for our sin) can be trumped by the good news (that Jesus died on the cross in our place to take the penalty for our sin), it depends on a choice you must make during your time on earth. The Bible says that is the only way to live to please God now and to be prepared for eternity. Will you receive Jesus Christ right now and trust in him alone for forgiveness and eternal life? Admit your need for God’s forgiveness. Turn from trusting in anything else for eternal life and trust only in Christ. Believe that Jesus Christ died for you on the cross, came back to life from the grave, and is your only way to Heaven. Accept Jesus’ offer to forgive your sins and become your Savior.